Most styles are available with most bracelets, however not all clasps are available on all designs. 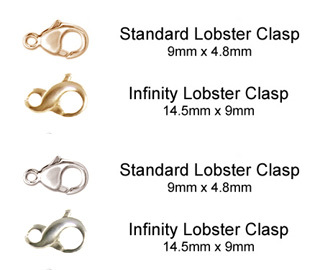 See each item's product description and/or options for the list of compatible clasp styles available. 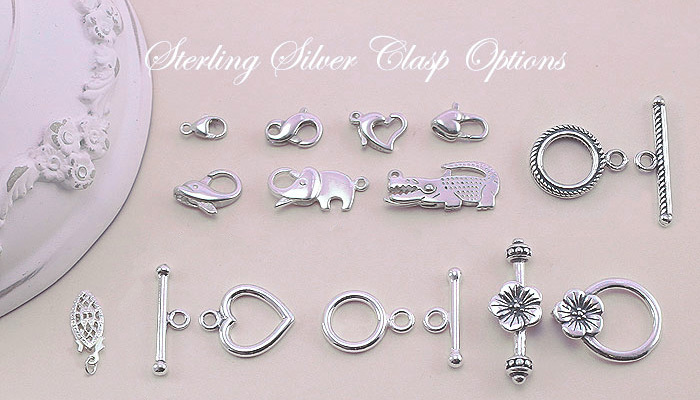 All silver clasps are sterling silver, while gold clasps are available in both 10k and 14k yellow and white gold. Clasps above are not shown to scale. 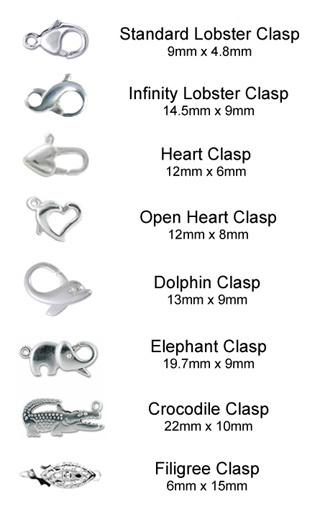 See image below for charms to scale in a side-by-side comparison. 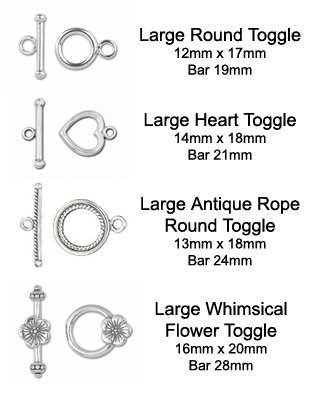 Please also note that the filigree and toggle clasps are not compatible with the extension chain option.